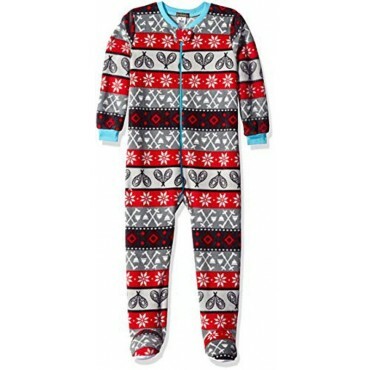 Multicolored boys fleece footed onsie. They are perfect for cold winter nights. 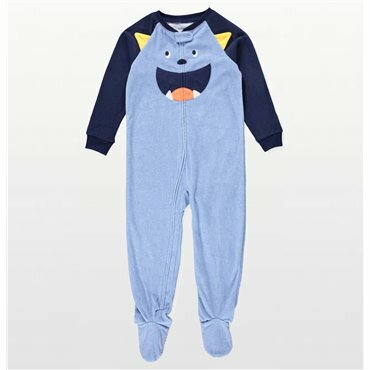 Carters Boys Little Blue Monster Onesie Pyjamas - Super Soft Microfleece sleepwear with front zip, built in feet and elastic ankle back for perfect fit. Carters Boys Onesie Pyjamas in camoflague print with Dump Truck motif - Super Soft Microfleece sleepwear with front zip, built in feet and elastic ankle back for perfect fit.